From Garret John LoPorto, the maker of the “From the Future” videos, here’s the first video in a brand new series. Where does the beauty and complexity of life come from? Darwin’s “natural selection” explains survival of the fittest, but doesn’t explain why life gravitates towards beauty or complexity. Watch this video to see where life’s majesty may really be coming from, and how this knowledge could change the world. 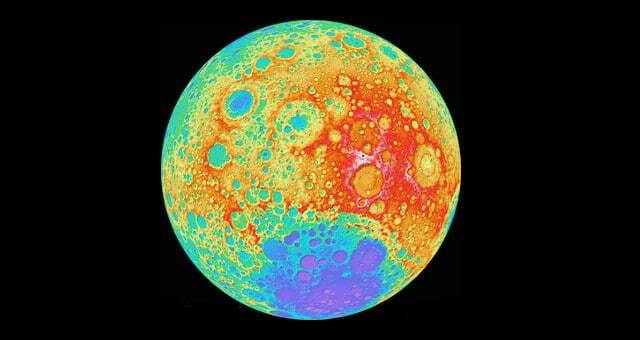 Moon anomalies are nothing new, there are many people, including mainstream Western scientists, who have pointed out numerous highly strange and irregular things about the moon. A few years ago David Icke brought the book Who Built The Moon? by Chris Knight and Alan Butler to attention, and concluded that the moon is an unnatural object that has been placed there for some reason – possibly as a broadcasting station. Icke further linked the moon to Saturn, and theorized that the “Matrix” in which we live is actually a program originally broadcast by Saturn and amplified by the moon. He called it the Saturn-Moon-Matrix. In the late 1980s, Lieserl, the daughter of the famous genius, donated 1,400 letters, written by Einstein, to the Hebrew University, with orders not to publish their contents until two decades after his death. This is one of them. …When I proposed the theory of relativity, very few understood me, and what I will reveal now to transmit to mankind will also collide with the misunderstanding and prejudice in the world. Strange things are happening in both outer and inner space.Scientists are discovering that the Solar System, the sun, and life itself are mutating in totally unprecedented ways. They are reporting changes that are being recorded in space that have never been seen before. From my experience, the above guidelines are necessary to achieve dynamic healing responses in the body. I recently came across a very similar set of factors that were discovered by researcher Cleve Backster, who spent 36 years studying biocommunication in plant, animal and human cells. He referred to these factors as real intent, attunement, and spontaneity. Backster, formerly an interrogation specialist for the CIA, wrote about the defining moment which led him to his real work in this world, in his book Primary Perception. This moment occurred one February morning in 1966 when he decided to monitor the Dracaena plant in his lab utilizing polygraph equipment. He attached the electrodes to a leaf and began to think about ways that he might induce a surge in electrical activity in the plant. In humans this surge in electrical activity is associated with intense emotions. He suddenly imagined burning the electroded leaf. The same instant this idea entered his mind, the polygraph pen shot to the top of the chart showing an extreme reaction on the part of the plant. Amazed, he walked to his secretary’s desk to retrieve a set of matches while pondering the possibility that this plant was somehow detecting the force of human intention. When he returned with the matches, the plant was still showing the same high level reaction which would interfere with tracking additional changes on the chart. Backster decided to “remove the threat” by returning the matches to the desk. At this point, the chart displayed a downward trend as the plant apparently began to calm down. When Backster attempted to repeat the same results by pretending that he was going to burn the plant, there was no reaction. The plant seemed to sense the difference between real and artificial intent. He eventually discovered that plants become attuned to their primary care takers, responding to both their positive and negative emotions and to their return after being away for a time. Chart findings also showed that plants prioritize the emotions of their primary care takers over the emotions of others nearby. Backster later expanded his research to include testing human cells for signs of consciousness. He collected white blood cells from human donors, electroded them in a test tube and then recorded the cells’ reactions as the donors experienced different emotional states. He found that spontaneous emotions were necessary in order to elicit an electrical reaction in the cells. For instance, if a donor forced herself to feel an emotion, the cells would not respond. However, when she received a distressing phone call from her daughter, the cells reacted significantly. He noted that distance seemed to be irrelevant in these experiments. For example, a donor left his electroded cells behind in the lab, then kept a detailed log of any stressful emotions experienced on his trip home to another state, such as missing a turn on the freeway, standing in a long line at the airport, and the take-off of his plane. Later, his logged incidents compared with the chart recording showed strong correlations between the timing of the stressful events and the electrical reactions in his cells. The chart became quiet again when he arrived home and went to sleep. These experiments were conducted while using equipment that screened out electromagnetic radiation — the usual energies used for information transmission. The cells behaved as if the screens weren’t there, suggesting that this communication is carried by a field still unidentified by conventional science. Some scientists believe that the further development of quantum physics may help guide us to understand this field that communicates emotional intent between living things. Quantum Entanglement is a process where two particles of matter which have interacted with each other, still behave as if they are connected after being separated by many miles. When an energetic change is made to the properties (position, momentum and rotational spin) of one of the particles, the properties of the other distant particle will change at the same instant. This scientific phenomenon and the research of Cleve Backster, point to the Eastern concept of oneness — the view that all of nature is interdependent. Ancient cultures understood this interconnection as a living universal energy field that sustains life while guiding the evolution of consciousness throughout the universe. The meditation techniques involved in my practice bring the mind into attunement with this field. Energy from this field is then focused into a physical healing event through clear intention — delivered by means of a conversation that evokes spontaneous emotions — and attunes the physical body to the conscious mind. This method which I call Antara (Sanskrit for within), enables one to experience the raw creative healing ability generated by an alliance of the mind and body with this living universal energy field. Therese Wade received her Master of Science Degree in Acupuncture and Oriental Medicine from Bastyr University in 2003. Her combined experience with Chinese medicine, shamanic studies, kundalini meditation and hypnotherapy are integrated within her approach to mind–body–spirit medicine. Please visit AntaraHealingArts.com for more information. Dr. Kathy Forti is a clinical psychologist, inventor of the Trinfinity8 technology, and author of the book, Fractals of God: A Psychologist’s Near-Death Experience and Journeys into the Mystical. Original posted November 11, 2014 by Arjun Walia at Collective Evolution. “There is nothing new to be discovered in physics now. All that remains is more and more precise measurement.”This statement (worldview statement) was by Lord Kelvin in 1900, which was shattered only five years later when Einstein published his paper on special relativity. The new theories proposed by Einstein challenged the current (at that time) framework of understanding. This forced the scientific community to open up to an alternate view of the true nature of our reality. A great example of how things that once were regarded as truth have changed. Original posted at Collective Evolution. The God Particle. You’ve probably heard talk about that for a number of years now, with the Higgs Boson discovery or the Large Hadron Collider’s constant smashing of tiny-things together… or maybe you just watched it in The Big Bang Theory. What we’ve been looking for with the God Particle is the Particle that connects everything else. Many were hoping it was the higgs boson, and as I described in a recent blog about this, finding the Higgs was important, but it wasn’t the “God Particle”, it didn’t really connect any of the dots, and certainly took a lot of the magic out of the discovery. A year or two ago I met Michael Evans, who shared with me his theories and ideas about what “The God Particle” meant to him. He shared his diagrams and images with me of the Trion-Re, and all of his Breathing Solids… and it blew my mind. I wanted to share it, but most importantly, I wanted to do it right. If this information about the God Particles are real, then this could very well be one of the most exciting and biggest discoveries on the planet! And i’m not the only one who thinks so. That link above is a link to an article describing a “Jewel” like object at the heart of Particle Physics that completely changes and simplifies almost every kind of equation that we have today. It’s a very big deal. From spending the time that I spent with Michael, as well as the past year working on PTF with Ray, it’s begun to become clear to me what all of this information is about. It’s not just about tiny things, nor even large things, “things” are just the beginning. This is a model for transformation, for change, for growth, for collective awareness. The shape is only the beginning, for as we discover more about what it means, how it works, and apply it to our world… well, it will change our understanding of technology and the way we use it forever. Very simply, it’s about coming together to create something new. You create transformation and change when you add new ingredients, and one of the most powerful ingredients you can add are other people. There is not a single thing on this planet that exists solely on its own, without any co-creation with each other. Everything is constantly blending, merging, melding, and molding with other things. It’s a very powerful realization to see, because it means you don’t have to do it on your own. You are not alone, we are all connected. It is when we come together as One to create something new do we truly make magic. I can list plenty of ideas, such as Steve Jobs and Wozniak coming together with a shared vision to create an incredible new kind of computer that changed the world. It happens over and over in our everyday lives, it happens all around us, we simply need to take a look. This example works on every level, including something as big as the Sun, even THAT is a fusion reaction of (primarily) hydrogen and helium merging together to create a chain reaction that provides light, energy, and sustenance for our whole planet. At the center of the sun you’ve got millions of tiny Vesica Pisces and Trinities coming together over and over again in rapid succession. If you came here from the link on the video, you will find more resources below, and in the future i’m going to build a page that contains all of the resources and a compilation of blogs about this topic. Please stay tuned, there’s a lot going on this time of year and I’m quite busy. Thank you again for checking out the video, and please give it a share if you thought it was something of value. Original posted on December 22, 2013 at this link on Spirit Science. Learning Mind| A book titled “Biocentrism: How Life and Consciousness Are the Keys to Understanding the Nature of the Universe“ has stirred up the Internet, because it contained a notion that life does not end when the body dies, and it can last forever. The author of this publication, scientist Dr. Robert Lanza who was voted the 3rd most important scientist alive by the NY Times, has no doubts that this is possible.